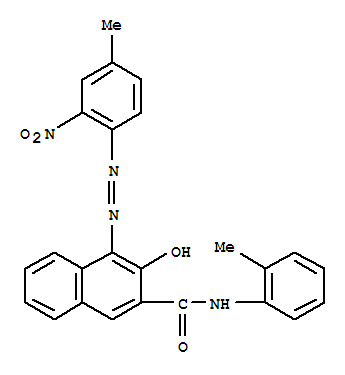 An organic azo pigment obtained by the azo coupling of m-nitro-p-toluidine with the m-nitroanilide of β-hydroxynaphthoic acid. Good lightfastness and weather resistance, excellent acid and alkali resistance, poor resistance to bleeding. Air-dried and baked enamels, truck body finishes.